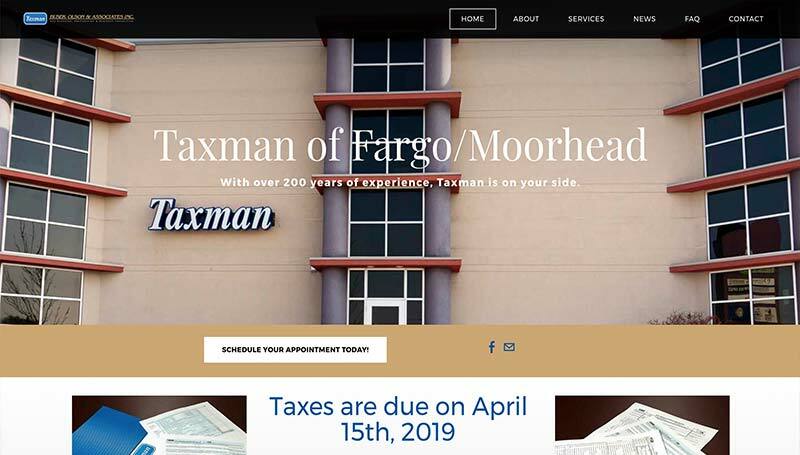 Taxman has a new look, but don't worry, we still offer the same great professional tax services. Please contact us with your tax, accounting, financial planning and business consulting needs. Tax/business news and updates brought to you by Taxman and Busek Olson and Associates. We Focus On Your Unique Tax Planning , Tax Preparation & Business Consulting Needs! With two locally-owned offices and no franchise fees, Taxman provides a high level of service at the most reasonable fees. We are open extended hours during the tax season to accommodate our clients' busy schedules, and walk-ins are always welcome!